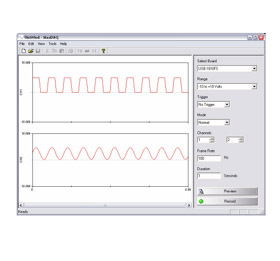 MaxDAQ is designed for collecting analog data in conjunction with MaxTRAQ 2D, MaxTRAQ 3D or MaxPRO. An easy to use, flexible and inexpensive way to integrate AD/D. MaxDAQ is USB interfaced and has a number of different channel configuratrions to choose from – 8, 16 or 32.